Recently, while browsing for birthday invitations on Minted, I came across some fun new products that I had no idea they carried! I was familiar with Minted's stationery and invitations, but now they have a line of art prints, gift items, and even party decor. 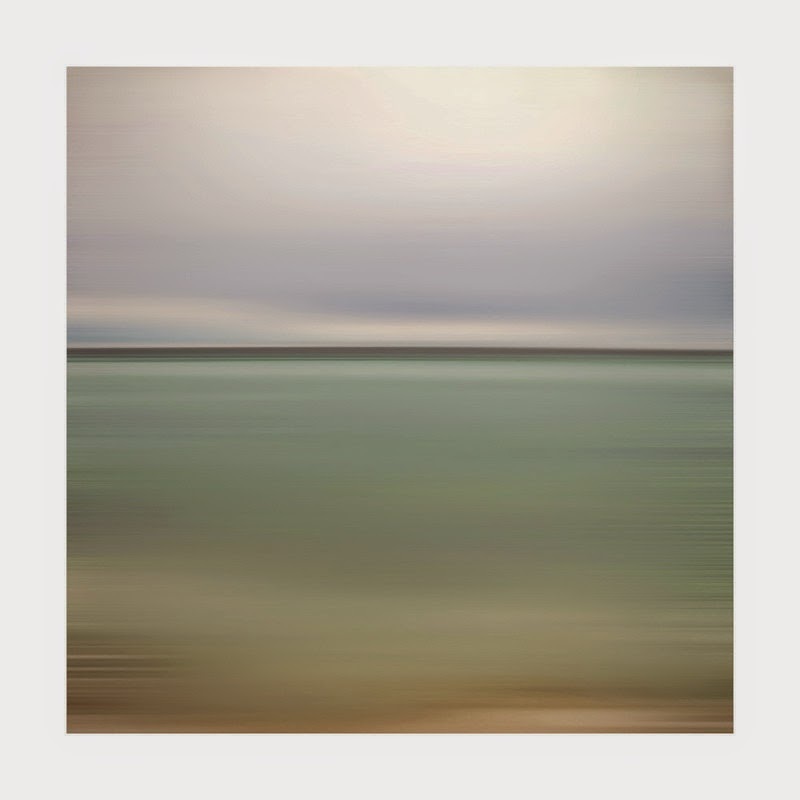 Entitled Twisted Horizon, this gorgeous print reminds me of a morning at the beach, when the water is still glassy and the sun is just breaking through the fog...I love it! How adorable is this Je m'appelle print for a little girl's nursery?! Seriously considering getting it for Henley's room. I already have one, but just look at it...adorable! There are so many great nursery and children's prints that I spent nearly a half hour looking through them. 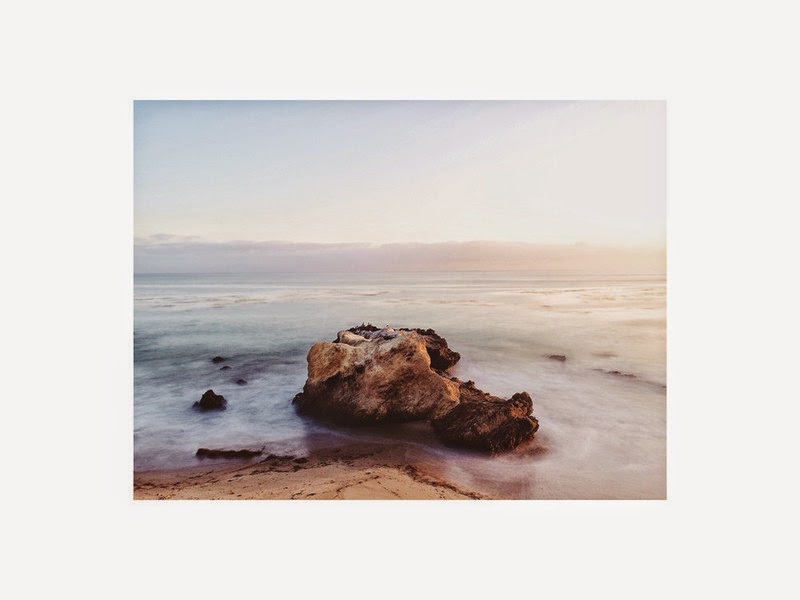 Another print I found, Alone, is a sunset photograph focusing on a rock at a beach in Malibu, CA. With my love for photography and the beach, this one stood out to me as well and would look lovely in our bedroom. Aside from the prints themselves, Minted really goes above and beyond when it comes to choosing and customizing your piece. For starters, on other sites, they list the sizes for your print, but its always hard to picture how 8x10", 11x14", 18x24", etc. will look when you get it home and on your wall. 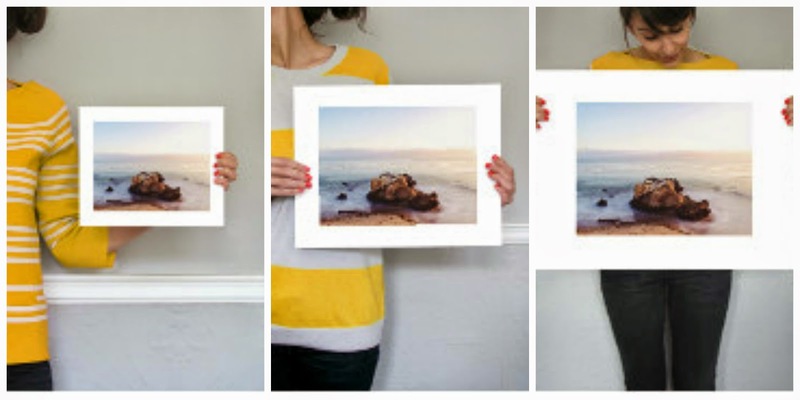 Minted takes care of that; they have photos of a model holding the print in each size, so that you can get an idea of just how big the print will be. 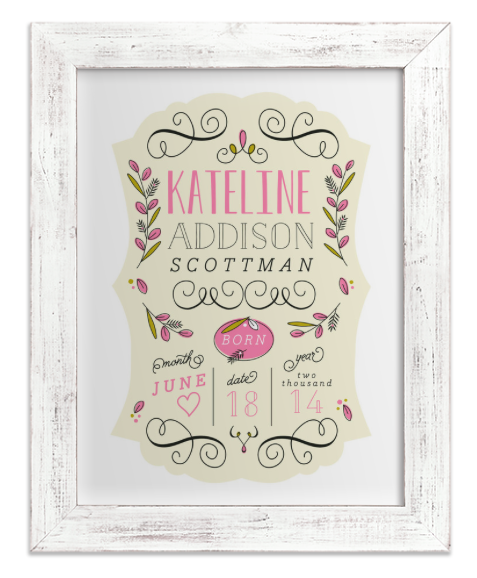 Next, if you wish to frame your print, Minted offers eleven different frames to choose from. You can see your print displayed in each frame, making it easy to choose the perfect one to go with your print and your decor. 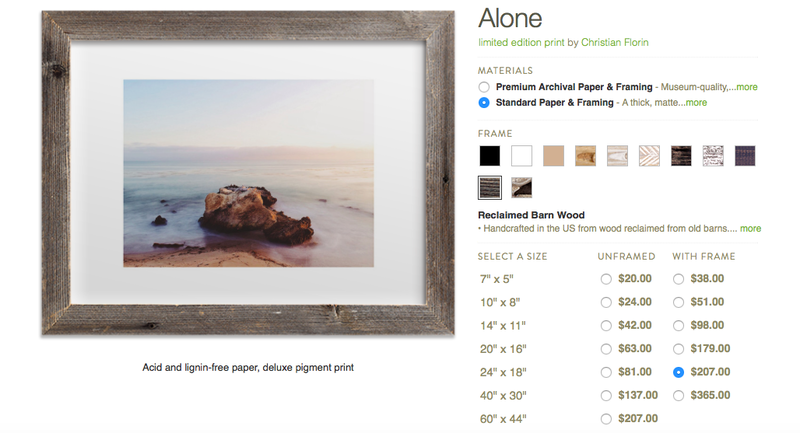 Another thing that impressed me about Minted's Art Marketpalce, is that they have examples of each piece, in varying sizes and configurations with other prints and frames. You can browse their samples to determine what size you might want or to get ideas to create your own gallery wall or photo display at home. Finally, I was pleasantly surprised when I saw that Minted is partnered with Every Mother Counts, an organization dedicated to a safe pregnancy and childbirth for all women. Minted donates a portion of all art sales to this cause, which is one that is near and dear to my heart as a mom myself. You can find out more here. I cannot wait to see what their art prints and other new products look like in person! I have a wish list of things I want from Minted and can't wait to order them! *While I was offered compensation for my review, the opinions of Minted and their products are completely my own.